You may not have known that the Mozilla Firefox profile stores everything belong to your browser, including settings, bookmarks, extensions, cached files, cookies, and saved passwords. Firefox keeps all this information in a single profile folder, to keep your data separate from the Mozilla Firefox program. If there was any problem with Firefox, your data is protected and safe. If you ever run into any issue with Mozilla Firefox, creating a new profile can help to troubleshoot and get all information on your browser back to work. Before making a new Firefox profile, locate the old profile folder and copy to a new location. The default location of Mozilla Firefox’s profile folder differs depending on your operating system platform. The “(username)” is the name of your current used user folder. The “abcxyzxx” is a random string, which was automatically generated by letters and numbers when you create a new Firefox profile. 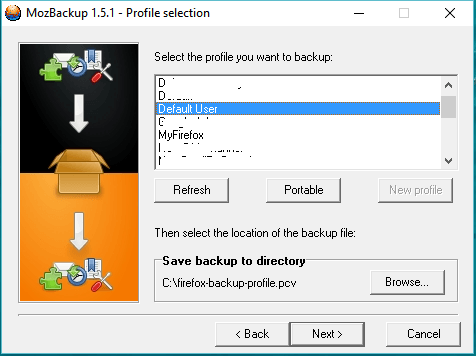 If you are using multiple Firefox profiles on your computer, you can use the name right after the random string to determine the profile folder you want to backup. For example, if your Firefox profile called “Default”, then the name of your folder profile should be “abcxyzxx.default”. Or if your Firefox profile named “MyFirefox”, then the folder profile should be “abcxyzxx.MyFirefox”. 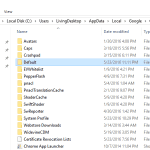 In order to backup your Firefox profile, copy the whole profile folder to another place. To get rid of any problem that you ever run into with Firefox, uninstall and reinstall a new copy of Mozilla Firefox on your computer. 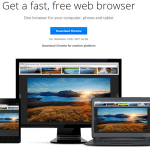 See Also: How To Backup And Restore Entire Google Chrome Settings? After that, replace all sub-folders and files in your new Firefox profile folder with sub-folders and files in your old profile folder you have copied. This method always works, and your information is safe. 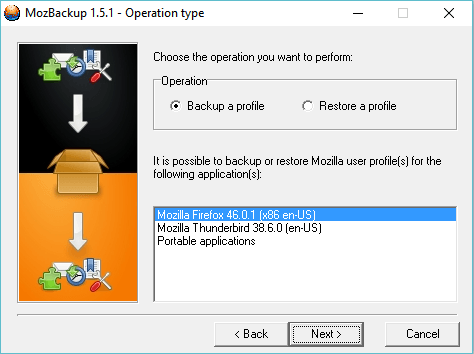 You can also use MozBackup to backup and restore your Mozilla Firefox profile. It’s a lightweight and helpful program to help you backup and restore your profile simpler. However, this program is currently only available on Windows. 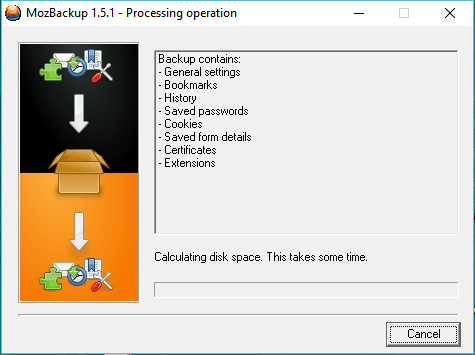 Firstly, launch MozBackup and choose the profile you want to backup. If you are only using a single Firefox profile, there was only one to select. Next, choose where you want to save the backup file and then click “Next” button. 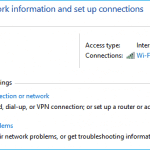 MozBackup will ask you to set a password to protect the backup file or not. It’s your decision! Next step, choose what you want to backup. Wait until the process complete and all is set! To restore your backup, launch the MozBackup program again, and choose “Restore a profile“. 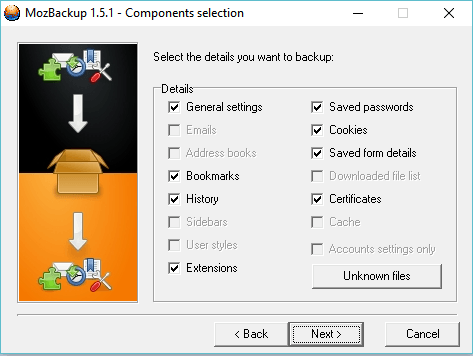 Next step, choose the Firefox profile you want to restore and overwrite to, as well as select the backup file you want to restore from. 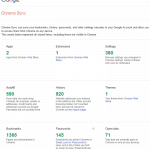 It will take a few seconds to minutes, depends on how large is your Firefox profile. If you are using multiple Firefox profiles, we would recommend you to organize profile folders in another location, where you can easy to find. 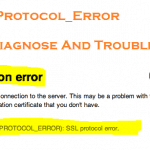 For example, C:\Mozilla Firefox\Profiles. It would be a perfect place to store your Firefox profile folders and it’s also easy to find. We hope this article was helpful, to help you locate the location of your Mozilla Firefox profile folder. If there is any question related to this article, leave your comment below.